"Mommy. But how does Santa get in our house if we don't have a chimney." "Come on now Jane. Magic." "Magic. We have a fireplace." This month's Fancy Friday Blog Hop brings plenty of new friends. 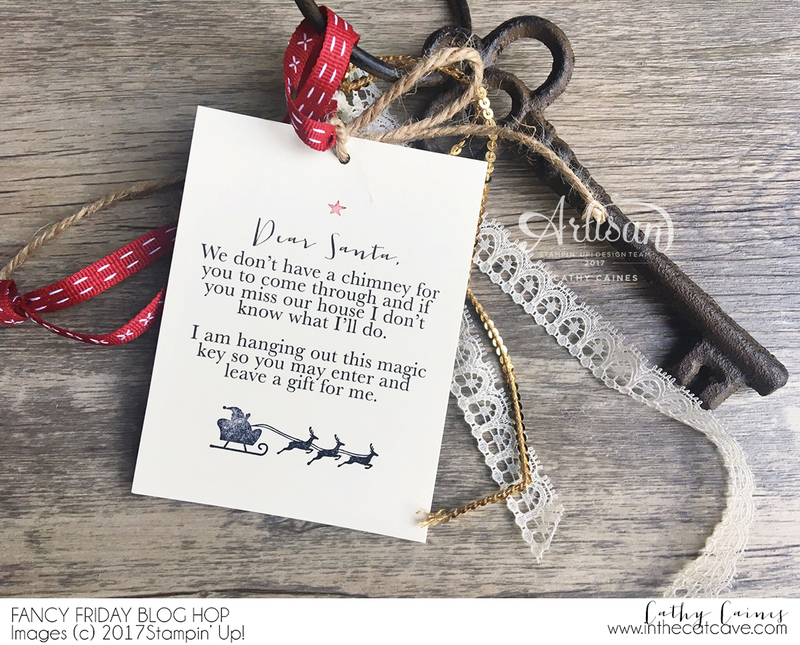 Fancy Friday Design Team Members are past and current Stampin' Up! 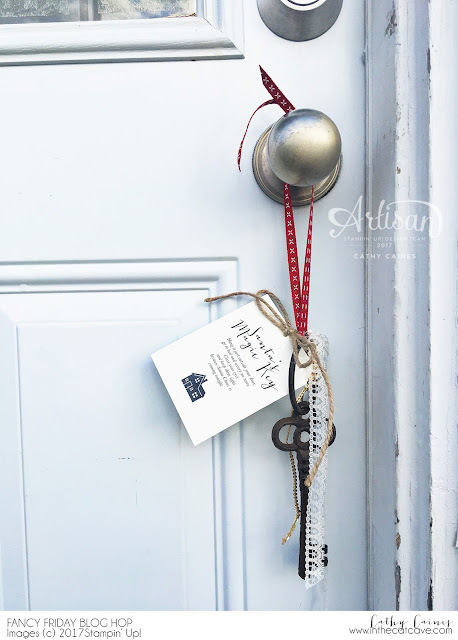 Artisans and as our team evolves, I have no doubt that it just might be the most inspiring blog hop you'll follow along every year. We are playing with "Mixed Metallic" today so I took this challenge quite literally as I held the cast iron keeys in my hands. 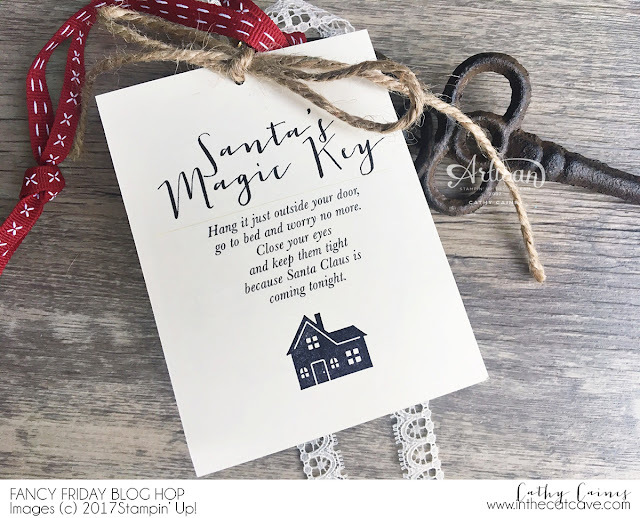 I had heard of them before so I researched "Santa's Magic Key". Taking bits and bobs from different people I created a tag with some instructions on both sides. I added the perfect stamps from the Stampin' Up! Hearts Come Home stamp set. Finally, I tied everything together with trims and ribbons to the cast iron key. Where did I get the glorious keys? Well, I found them at Books-a-Million a couple years ago and then I bought all 10 of them and hoarded them until now. Keep in mind that this key gets hung outside on Christmas Eve. Therefore, I went to my local Staples store and got the tags laminated. It worked out perfectly and ever so easily. We all know I love easy. I can't wait to see how my amazing Kiwi friend, Susan Wong played with mixed metallics! I can't wait to see!